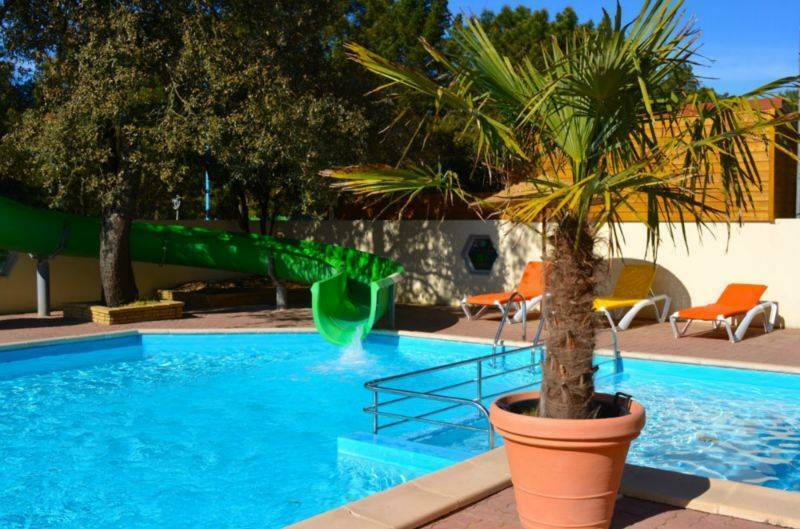 Le Clos des Pins in the Vendée-region is a campsite with a heated swimming pool, waterslide and a small delimited paddling pool for the tinies. 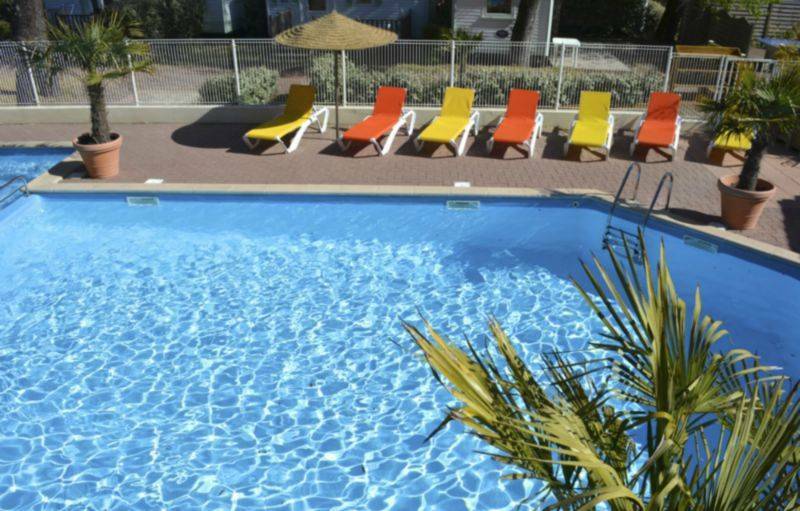 Get together with family or friends around the pool for a dip and laze about in the sunshine. 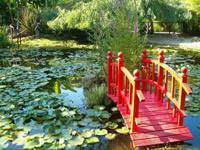 Sun loungers and parasols will be entirely at your disposal. 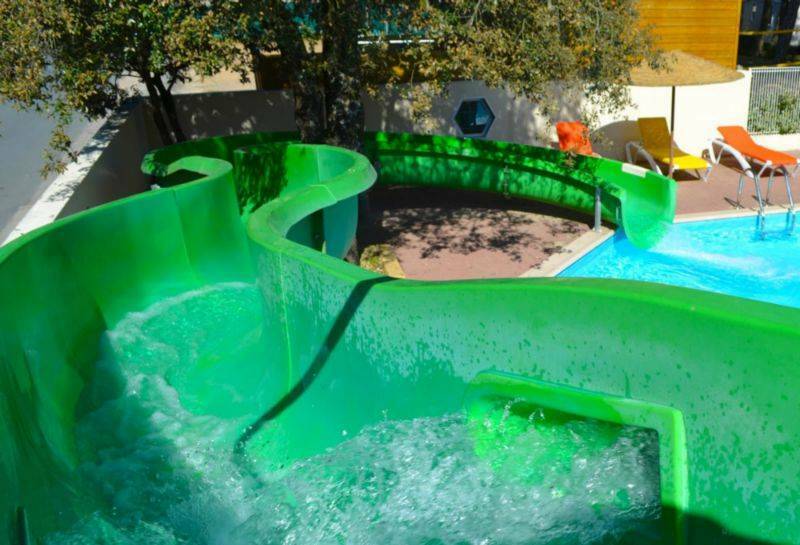 Dimensions : Swimming pool measuring 12m long by 6m wide plus a small paddling pool measuring 4m by 4m. Only above-the-knee trunks are permitted among male swimmers in the Le Clos des Pins swimming pool enclosure. 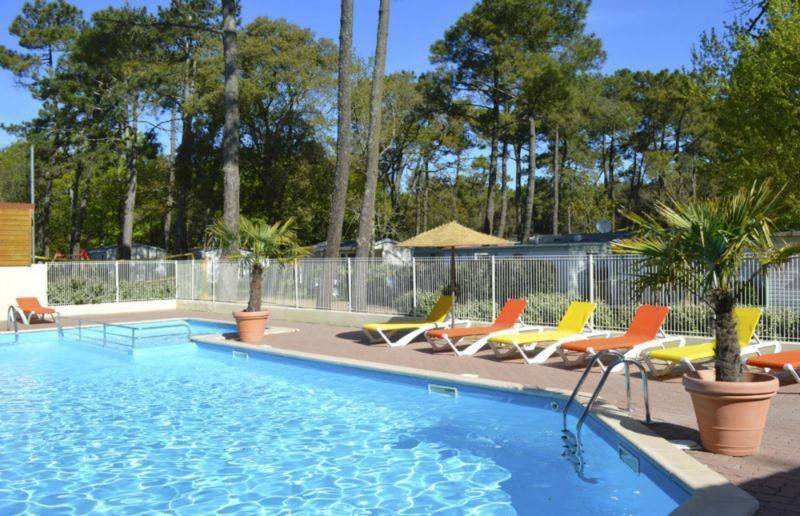 The campsite’s swimming pool is heated to between 28°C and 30°C.